I love how easy it is to parse XML with Powershell, but then I started scripting in Strict Mode and got hung-up on a little problem dealing with attributes. What did we do wrong? As it turns out there are two problems. The first is that the entry for Cat Luna does not have a Type attribute (if we re-ran the tests removing Luna then the script will pass). 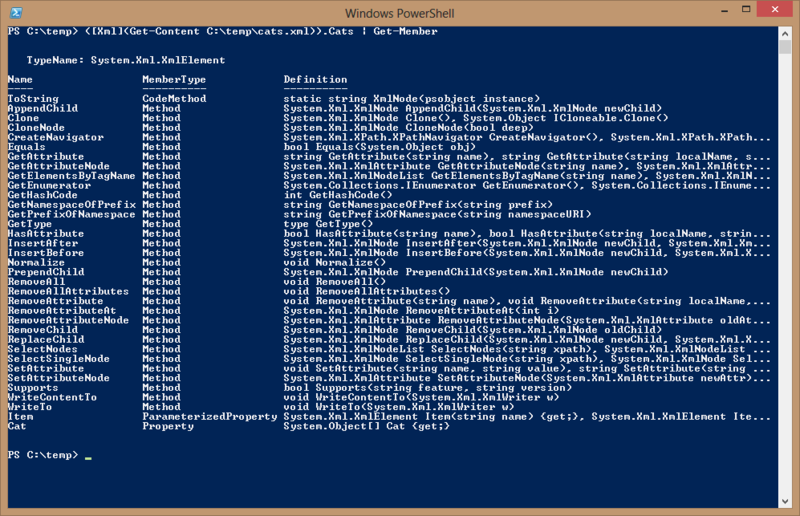 Secondly, we are expecting Powershell to interpret what we mean by the property Type. 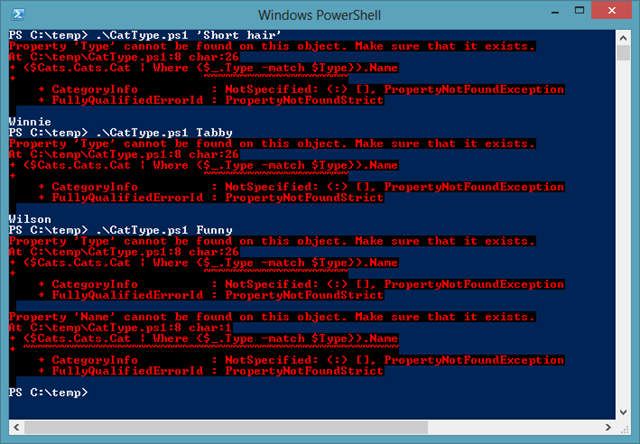 We want Type as an attribute name, but how does Powershell know that? This is sloppy scripting, but it works until we switch into Strict Mode. In order to move forward, we need a better idea of the objects that we are playing with. So let’s get the members of $Cats.Cats. Using GetAttribute on attribute Type will solve the first error. We solve our second error (when a not matching type is entered) by making sure that the object is not null before reading the attribute Name.